℗ 2015 Boston Symphony Orchestra, Inc. under exclusive license to Universal Music Classics, a Division of UMG Recordings, Inc.
"The performance is electric and the recorded sound among the finest I've ever heard ... the rich sounds of the BSO are captured with resounding resonance and impact: an audiophile's showpiece indeed." "Nelsons's performance is mighty, marked by a wonderful nose for atmosphere ... what makes Nelsons so lethally impressive here is the precision with which he addresses every accent ... be in no doubt that this is one of the finest performances that I have ever heard of this great piece (it must surely bid fair for 'best in catalogue') ..."
"A stirring performance of the 10th Symphony ... (a) superb disc ... a triumphant performance and sound ... will certainly be a disc that is revered ... the strings are smooth, the low end is solid. The soundstage is vivid and I had the impression of listening live in Boston ... I haven't heard an orchestral CD sound this good in a long time. Kudos to the DGG recording team ... highly recommended ... a must have recording!" 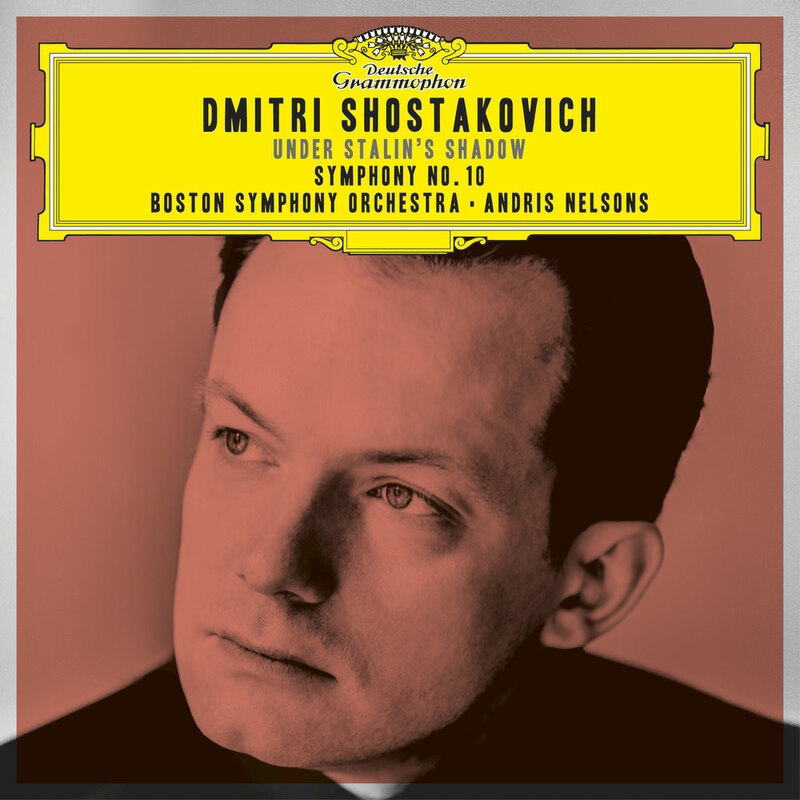 Andris Nelsons and Boston Symphony Orchestra earned a Grammy Award for this highly acclaimed live Shostakovich album, recorded in April 2015. The programme kicks off with the Passacaglia from Lady Macbeth of Mtsensk preceding the main event, the Symphony No. 10. This release is the first in a series of five live albums entitled Shostakovich Under Stalin's Shadow, encompassing the composer's works written from the mid 1930s, when Shostakovich fell from Stalin's favour, to 1953, the year of the dictator's death.